Group Matclasses are recommended for those who have no serious injuries, who like the social aspect of a class environment and who can commit to a scheduled time most weeks. 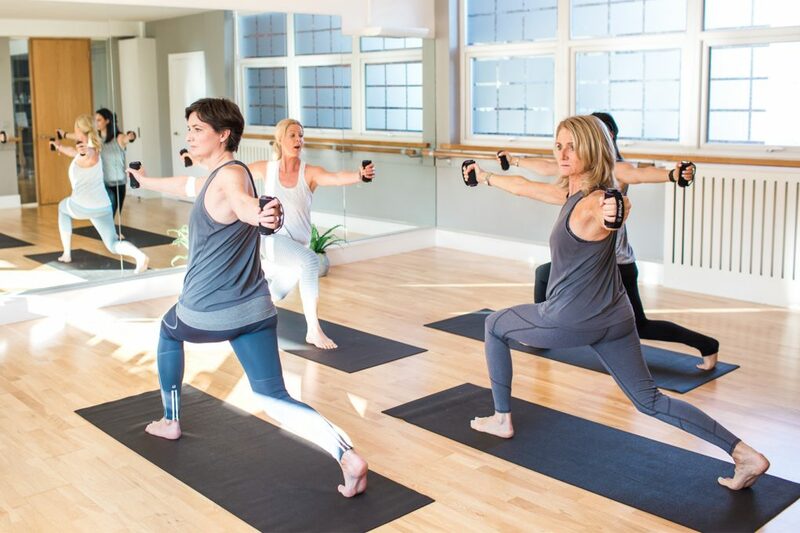 Group Classes are organised by ability level, from Improver to Intermediate to Advanced – as well as the high intensity, cardio version of Pilates, aka HIP® Pilates50! 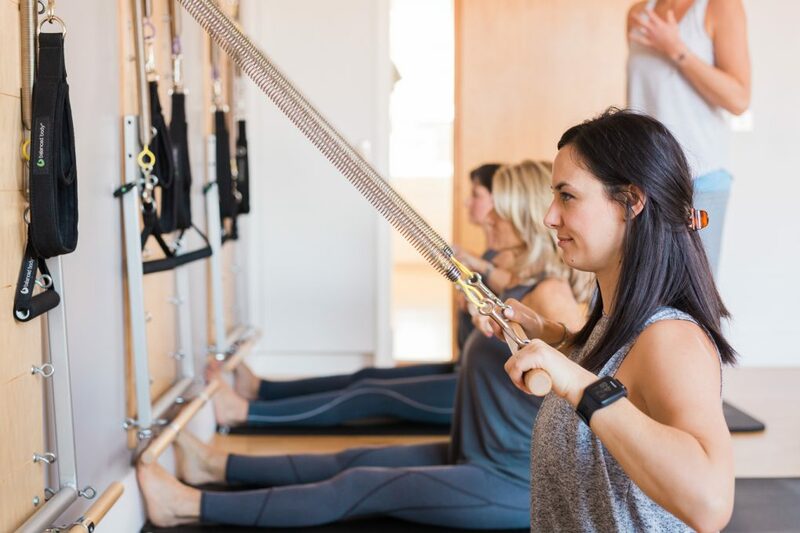 Matclasses use both the Pilates mat, as well as other small apparatus – balls, bands, rings, hand weights and foam rollers – to support AND challenge you. Our range of matclasses is vast and we are confident that our offering will provide something for everyone. *Note that we have a very flexible makeup system that allows you to swap and change classes on the days that you cannot make your regularly scheduled class or classes. Reformer Classes are small group classes working on the Pilates Reformer. The Pilates Reformer is a machine that offers resistance and assistance, allowing you to take your body to the next level. Our Reformer Classes are levelled by ability, from Beginner to Advanced, as well as Cardio Reformer and Teacher’s Reformer Classes. This levelling ensures that you work to your body’s ability whilst learning the exercises with proper technique so that you reach your full potential. As our classes are limited to only four students, the highest quality tuition is provided but with the fun and camraderie of a group class! Come and learn about this fabulous piece of Pilates equipment! Springboard Classes are our newest offering to Cobham Pilates and they are getting rave reviews from our clients! This fabulous piece of equipment is basically a wall mounted Pilates Cadillac, with various levels of springs which challenge your body in entirely new ways. 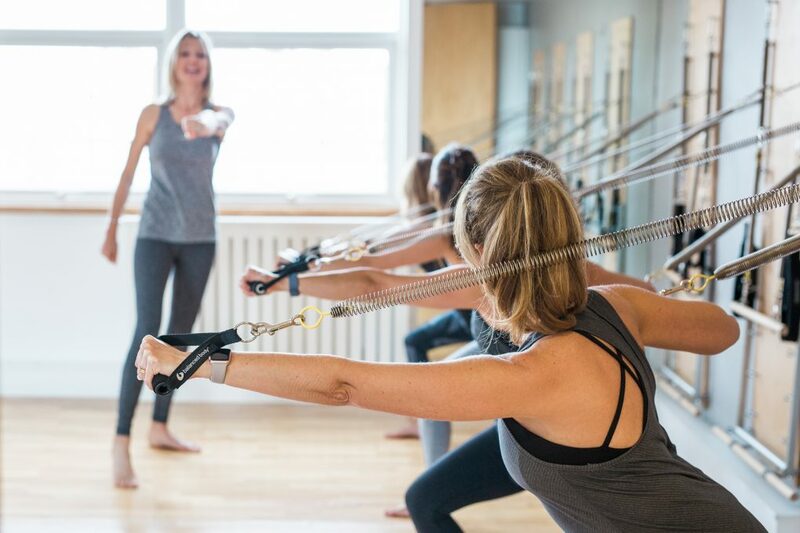 Add resistance to traditional pilates matwork creating an even great challenge and sense of connection to the deep stabilising muscles. Work arms and legs independently with varying spring resistance – hugely useful for evening out imbalances. Offer endless options for standing and functional work which we all need. Allow us to fully stretch and mobilise the body. Springboard Classes are for all levels and everyone is welcome. Maximum 6 per class. You can book these classes on a termly basis, but we welcome drop in clients to Springboard as well! 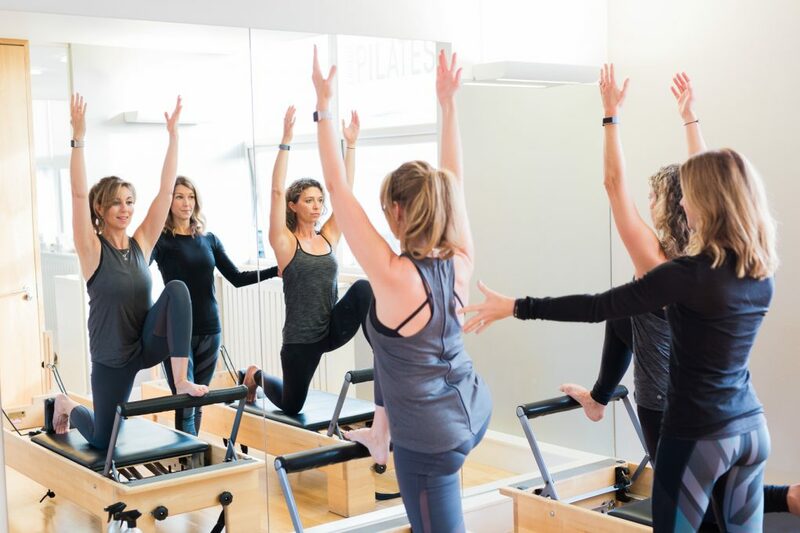 HIP Pilates (TM) is a more dynamic form of Pilates that combines the precision and focus of a traditional Pilates session with the dynamic energy of a high intensity workout.